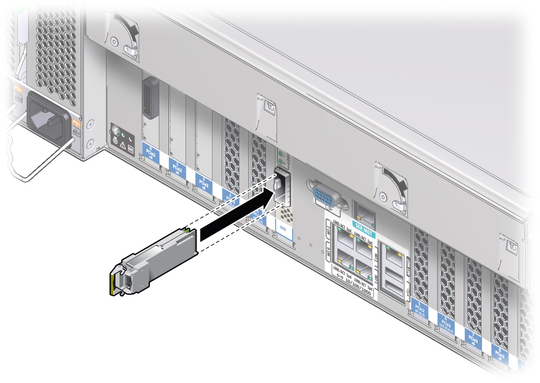 The optional SPARC T4-2 Server 10 Gb Network Module card provides four 10 GbE network connections when using a supported QSFP transceiver module. Remove the transceiver module from its packaging and place it on an antistatic mat. Remove the protective end cap from the transceiver module. Open the locking handle on the transceiver module until you feel the handle click into position. 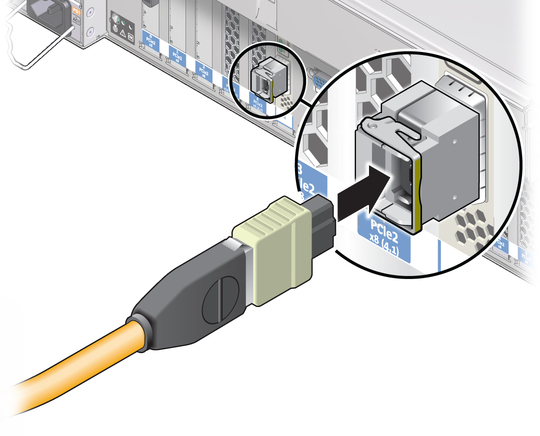 Align the transceiver module to the QSFP slot as shown in the following figure. 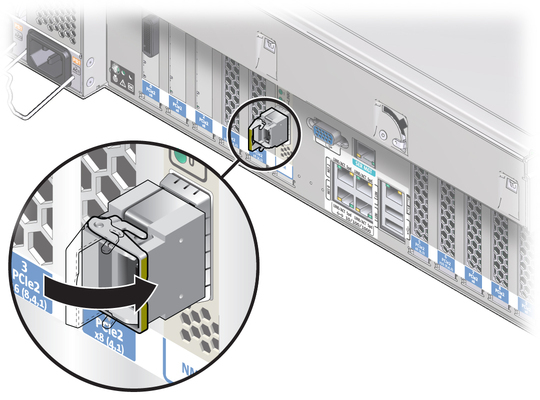 Holding the transceiver module by its edges, carefully slide the module into the QSFP slot. Applying even pressure to the top and bottom of the transceiver module, push the module until it is firmly seated in the slot. Push the handle closed to lock the transceiver module in place. Note - If you open the locking handle when the transceiver module is installed, remove the transceiver module completely and reinstall it. The handle operates an internal lock. 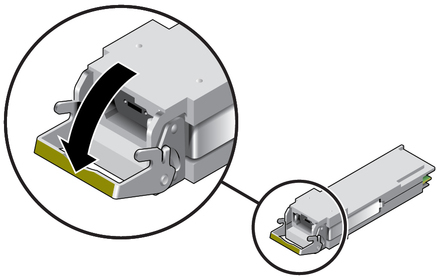 Opening the handle can disconnect the transceiver module, even though it might appear to be connected. Plug the cable into the connector. Verify that the handle is in the locked position, and then connect the cable to the transceiver module.